Hey everyone, recently bought my first panhead. Ive noticed after riding ive got what seems to be oil coming out from around my plugs, although it does smell like petrol kind of. I wouldn't think this is normal, i have never had this happen or seen it on any other bike I've owned. Can anyone tell me what may be causing this? Also it looks like my rocker cover is leaking in the photo but they arent, just gasket goo around the edges. what do the plugs look like when you pull them ? do both plugs look the same ? oil shows up in strange places ….it a panhead . Im sure you will get some other replies , I will definitely be following this post . It looks to me like the insert that was used to fix a stripped spark plug hole is seeping. Remove the plug, use a magnet to confirm the steel insert in the aluminum head. Although tight the steel insert expands less than aluminum head around it when heated, compression pressure pushes fuel mix into the gap, thru the threads, and out. Often happens in these old motors, live with it, clean it with brake cleaner occasionally. Only fix I know is: remove & strip head, remove insert, weld aluminum up solid and redrill and tap spark plug hole. Removing the insert will surely loosen the aluminum threads further due to baked on carbon on the bottom thread tearing at the threads while unscrewing. It may get better as carbon builds up around bottom of insert threads, or get worse as expansion or vibration loosens the insert. Enjoy your new bike, remember it's new to you but old! just bleeding through your inserts, don't trip unless it gets dramatically worse. And keep that anti-seize off the plug end and contacts. No worries thanks guys, i didnt put the antiseize on there must of been the last owner haha. Please do correct me on this: OEM Panheads do not have aluminum spark plug threads, but they have a cast in place bronze insert much like the valve seats. They are not magnetic. 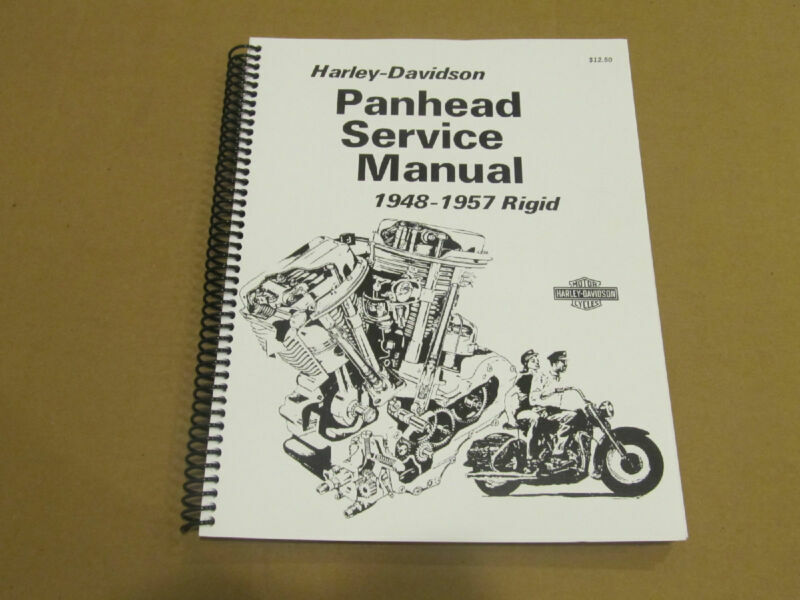 The ONLY service manual to get is the HD factory service manual as well as a parts book for your bike. Forget about Clymers and others. Sweet, ill have to grab a factory book and im glad the leaking is a common occurrence haha.